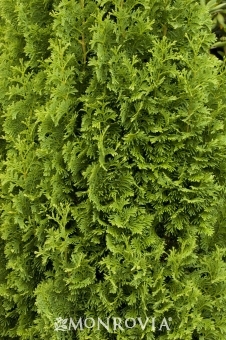 A striking accent plant with a narrow, columnar form and rich green twisted foliage. Retains its attractiveness with age. Bronze winter color.